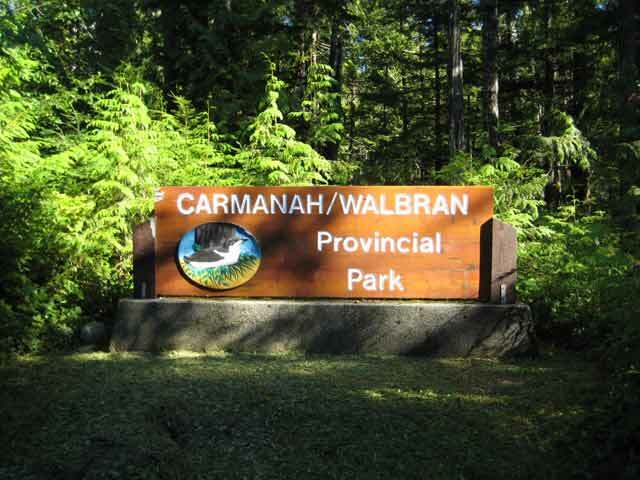 Carmanah-Walbran Provincial Park is located approximately 95 km (60 miles) north-west of Lake Cowichan and 105 km (66 miles) west of Port Alberni. 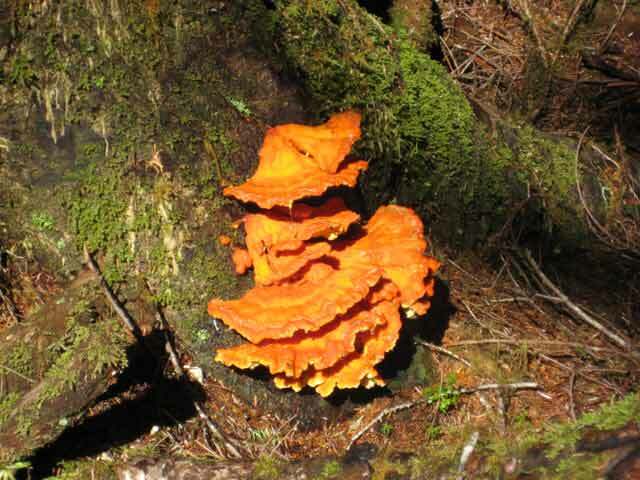 The highlight of the Carmanah-Walbran Provincial Park includes a wilderness area where you can find some of the world's largest spruce trees and one-thousand-years old gnarled-up cedars growing in a unique eco-system that supports a vast amount of plants, fungi and wildlife specific to the wild rainforests of the West Coast of Vancouver Island. To get to Carmanah-Walbran Provincial Park from Port Alberni, take the gravel Franklin River-Bamfield Forest Service Road (FSR) 40 km (25 miles) to the abandoned logging facility at Franklin Camp. From here you then take the gravel South Main FSR approximately 33 km (21 miles) towards the small Malachan IR community of Nitinat (Ditidaht). If you are coming from the southern part of Vancouver Island, there are two routes to Nitinat from either Duncan or Port Renfrew. One route comes from Duncan, Lake Cowichan then travels from Youbou for 61 km (38 miles) following the North Shore Road to the end of Cowichan Lake to the junction point for Nitinat Main FSR. The other way from Port Renfrew comes out at Honeymoon Bay then follows the South Shore road west to the junction point for Nitinat Main FSR. From here both routes then take the Nitinat Main FSR to where it meets up with the Franklin South Main to become the Carmanah Main FSR towards Nitinat. 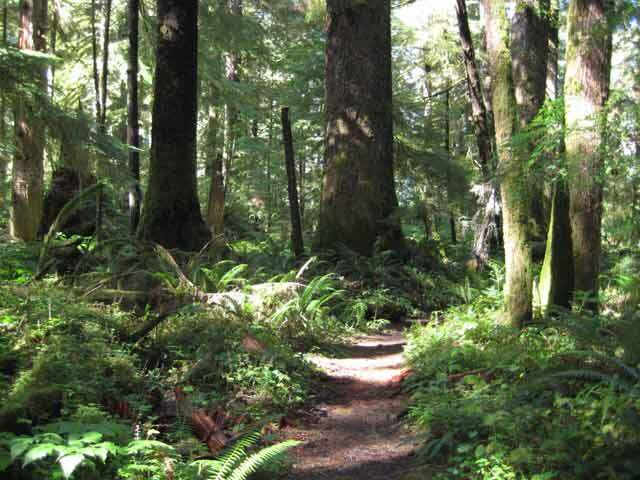 At around 1.3 km (.8 miles) before you arrive at Nitinat is the turnoff to the main entrance to Carmanah-Walbran Provincial Park in the Carmanah Valley. Follow the gravel road and once you have gone over the Caycuse River Bridge, turn right onto the Rosander Main FSR and travel approximately 29 km (18 miles) to the entrance of the park and the information sign. The Rosander Main FSR can be full of potholes and very rough at times so this part of the trip can sometimes take a while. Along the route there are some great vista points where you can marvel at the views of Nitinat Lake back towards Nitinat. The Valley Mist Trail, the main route into the incredible wilderness into Carmanah-Walbran Provincial Park, starts in the main parking lot and in 20 minutes or so takes you to a junction point where the hiking trail divides into either the upper or lower of Carmanah Creek. From here you can explore both parts of the valley and the massive trees that grow in the park with a number features zones and specific viewing platforms. 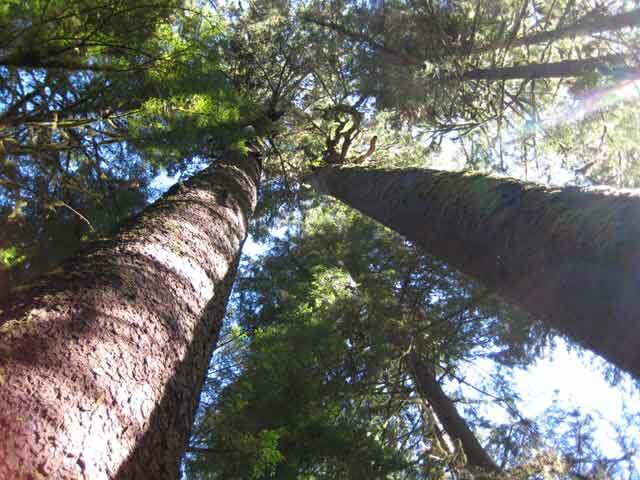 Some favourite spots include the large Sitka spruce trees near August Creek, the Randy Stoltmann Commemorative Grove and incredible wilderness and pool areas along Carmanah Creek. 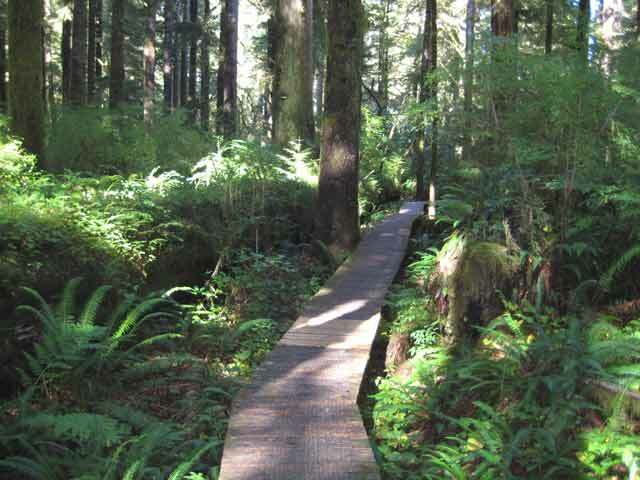 For a small fee there is a wilderness campground at Carmanah-Walbran Provincial Park. The Upper Valley campground is a walk-in campsite located near the parking lot has pit-toilets, available water (boiling advised), campfire rings and during peak season firewood also available for money from the park facility operator. There are other wilderness camping areas situated in designed sections along the river bars as shown on the park brochure. Fires are only allowed at the Upper Valley campground when permitted. If you run out of time or would like to see more of the area there is accommodation at Nitinat at the Nitinat Lake Motel. Nitinat also has a public phone if required. At one time there was small grocery store with gasoline and a few groceries. but unfortunately it has now closed (July 2011). Close by, Nitinat Lake offers a recreation site as well and is known to have some of the best winds around for people who enjoy windsurfing or kiteboarding on the water. Other activities include the Nitinat Triangle, a challenging multi-day paddle route in the wilderness for experienced people. For more exploring, try visiting the crystal-clear flowing Nitinat River situated along the road into Nitinat near the Port Alberni-Cowichan Lake junction point. Just east of this point is Nitinat River Bridge Pool Provincial Park and where there is opportunity for fishing and near the Nitinat River Bridge where there is a gravel beach with a spot for tubing and swimming in the summer. Just like the rest of British Columbia, remember when you are visiting Carmanah-Walbran Provincial Park, be extra cautious towards wildlife, very frequent Black bear sightings can be expected throughout the park. Also when you do walk on the posted trails just remember that constant maintainenance on the various boardwalks happen all the time and is an ongoing project especially. The paths are sometimes very muddy and especially dangerous after windstorms so be prepared for the odd detour and some difficulty in certain times and spots. If you do decide to come here for the day from Nanaimo or Victoria, expect to have a fairly long time going in and out 12-14 hours depending upon weather conditions and method of transport. Make sure to have a fair supply of rations including drinking water, medications and snacks and now with the store closed fuel for your vehicle to get in and out. When you travel here please respect the fact that these are logging roads. Logging is very active both on the Cowichan Main Road, the Alberni-Franklin Mains and both routes along Cowichan Lake, the routes that you need to take in order to get to Nitinat. Always be cautious, have your lights on and make sure you pull over and give all the room you can to these trucks and equipment. There is no need to hurry; please carry a good full-sized spare tire, keep your eyes on the road and be prepared for dust in the dry season and snow in the winter.